Take time to enjoy God’s Word and color images from his beautiful world. 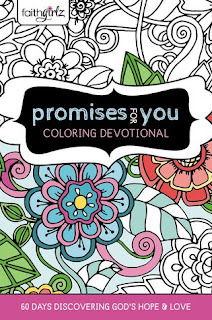 In this 60-day coloring devotional filled with unique illustrations and patterns, you will read about God’s unchanging promises through NIV Bible verses, paired with detailed line art. Each page is printed on high-quality, thick paper stock that won’t bleed through. 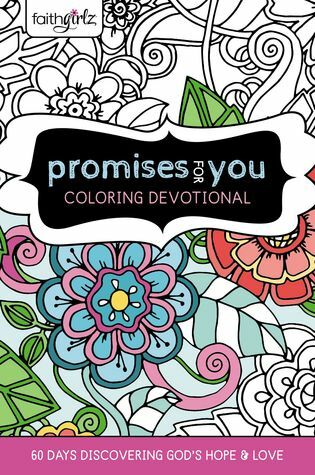 And when you’re finished coloring with markers, metallic pens, or colored pencils, you will have a chance to reflect and journal about each promise from Scripture, and find inspiration for every day. Perfect for girls 8-12. This book has been fun to review. It is also special, with that fact that I had help with this review. My kiddo was so excited to see this book when it came in. She grabbed it from my hands and spent several days reading and coloring in it. So, she is kindly offering her opinion on this book for me today. To start off, I will say from my thought of this book, it is perfect for the ages mentioned, 8-12 is a good age for this devotional. 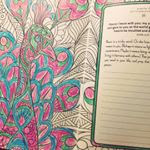 The different pictures for each devotional offer enough to color and a time to think of the short passage for the day. I'm turning over this part of the review now to the kiddo. She is going to give her opinion on the devotional now. This devotional helped me learn more about God. I liked how the coloring pages allowed for drawing and coloring. The peacock was my favorite page. The pages were easy to read. I did have to ask a couple of times over a couple of words, but I really enjoyed the coloring. It helped in talking about the Bible in a way I could understand. I love when I have something for the kiddo to help me to review. I enjoyed this devotional in that it made wanting to learn the scriptures for her more engaging. She is an artistic kid and this really connected with her. Thank you to Zonderkidz, I received a copy of this book for free in exchange for an honest review.